Just a few days before Palm Sunday and the beginning of Holy Week, while passing by Jericho on this way to Jerusalem, Jesus encountered Blind Bartimaeus (Mark 10:46-52). This was the last miracle of Jesus according to Mark’s Gospel. Perhaps the most surprising part of the story is that “many sternly ordered him to be quiet,” trying to prevent healing for this unfortunate member of God’s creation. Yet Bartimaeus only cried more loudly until he got Jesus' attention. It happened again this week. 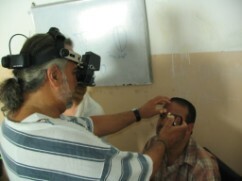 People trying to prevent “the recovery of sight to the blind.” And it happened near Jericho, at the Allenby Bridge border crossing from Jordan. And he was denied entry by Israeli security. He tried another border crossing the next day, and was denied once again. This is one of the many road blocks thrown up every day by a government of occupation in making life difficult for Palestinians. It highlights even more the amazing story of our Lutheran ministry of health care to Palestinians at August Victoria Hospital--especially when one considers all the determination by health care providers and all their extraordinary efforts. 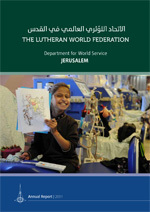 We were made aware of this story once again this week with the release of the LWF Jerusalem Annual Report --2011 (click the link to read the report or go to the website www.lwfjerusalem.org ). When you see a beautiful cover photo of a young Palestinian dialysis patient with her Winnie the Pooh coloring page, you can only feel proud about what the world-wide Lutheran community is doing to continue Jesus’ healing ministry. You can also read the story of Asmah, a six-year old cancer patient who came to AVH from a refugee camp in Gaza. On page 12, you can read about the celebration at AVH of World Diabetes Day and the hospital's focus on childhood diabetes—with funding assistance of USAid. 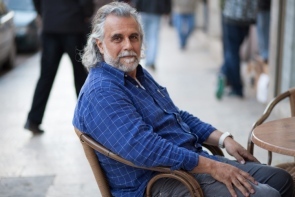 14 % of Palestinians suffer from diabetes, the high figure a result of the stress-filled life under occupation—and in many cases it affects the eyes, no different than the world Jesus encountered with Roman occupation. 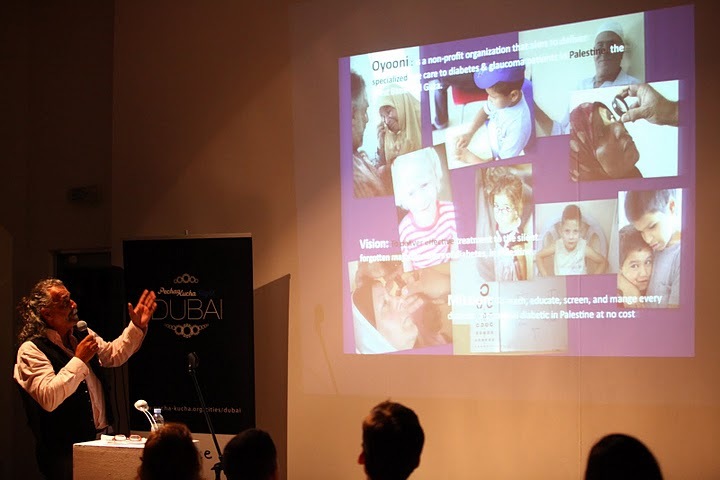 And so the importance of Dr Dabbagh’s courses at Augusta Victoria Hospital. What a gift he offers to diabetic patients throughout Gaza and the West Bank, and particularly those coming to AVH for treatment. What a disappointment for those who had come to the hospital on Tuesday expecting to learn from him. What a tragedy for individuals who continue to suffer because of such unnecessary delays. Fortunately the Israeli newspaper Haaretz reporter Amira Hass heard about the denial of entry of Dr. Dabbagh at the border this past Monday and again at another border crossing on Tuesday and decided to investigate. The reporter’s inquiry at the Israeli Interior Ministry provided the explanation that he “was refused entry at the recommendation of defense elements.” As a result of her prodding, there was typical beaurocratic backtracking-- no he really wasn't a security risk-- and eventually the decision was reversed. By Thursday Dr. Dabbagh was finally allowed to enter--three days after his original planned arrival. He was merely delayed. 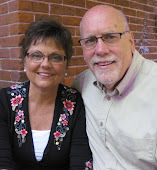 One wonders how many others have experienced the same unwarranted roadblocks? How many other humanitarians have been denied completely? Let’s pray for more determined individuals like Dr. Dabbagh and for more voices like Haaretz’s Amira Hass to continue crying out even more loudly to bring an end to the occupation.